Techway Electornics Co., Ltd. (hereinafter referred to as “Techway”) is a long-established company specializing in digital printing in Hong Kong. It is the agent of traditional Italian transfer machine brand MONTI ANTONIO (Monti) and the Swiss large ink manufacturer SENSIENT's products. Recently, the Textile Printing reporter visited the relevant person in charge of Techway and has an in-depth understanding of the development history and market development plan of Techeay, and focused on the new ink of SENSIENT, the following is an interview record. Textile Printing: Please brief the readers on the development history and basic situation of your company. TECHWAY: TECHWAY ELECTRONICS TECHNOLOGY CO., LTD. was established in 1993 and is headquartered in Hong Kong. Since then, it has set up a branch in Guangzhou due to the rapid expansion of its business. Our company mainly sells digital printing equipment, including the traditional Italian transfer machine brand MONTI ANTONIO (Monti), and Switzerland's large ink manufacturer SENSIENT, and also supports computer digital equipment and its extended color processing program, plus consumables and auxiliary repair services. Our company is very familiar with the whole digital printing production process and can provide a series of different printing solutions for different requirements of the company. Through our strong insight into the market, we have established a strong market base and leveraged our advantage in the heart of Asia. China's main external gateway serves all areas in the surrounding area more effectively. Textile Printing: What are the main products of Techway? TECHWAY: Our main products are in many categories. The core products are the first Italian traditional transfer brand MONTI ANTONIO. In addition to years of rich experience in sublimation technology, we have quite complete hot melt compounding and finishing product line. In addition, our company also acts as the agent of Swiss large-scale ink manufacturer SENSIENT, providing suitable and high-quality products for different printing solutions, including waterbased sublimation inks like the main sublimation transfer ink, as well as active, acid and paint. Textile Printing: I heard that SENSIENT has launched a new water-based sublimation ink? Can you give us a specific introduction? TECHWAY: Yes, SENSIENT has introduced a new ink called “CORAL”, which is mainly used for direct printing on polyester fabrics, eliminating the traditional steps of using transfer paper as a sublimation medium, which has accelerated production efficiency and save on the cost. Moreover, it is different from the general use of dispersing ink. After printing directly with CORAL ink, the fabric does not need to be washed and evaporated. The user greatly benefits from the budget of the production process and is the most environmentally friendly green printing solution. In addition to the consideration of production efficiency, the penetration of CORAL ink is also very good. For the penetration requirements of sportswear for elastic materials, CORAL ink can completely solve the problem of whitening caused by the pulling of the fabric. Textile Printing: What are the nozzles suitable for CORAL inks? What about the ink fluency, printing feel, and printing fastness? TECHWAY: Developed for Kyocera nozzles, CORAL inks are suitable for printing solutions for large industrial applications. The printing is also very smooth, which greatly reduces the damage caused to the nozzles resulted from long-time printing. This has been of great benefit to customers in the maintenance of printing equipment. It does not need to be washed and evaporated after printing. It can be completed by a simple thermal fixing process. The consideration of the hand and color fastness of the fabric is absolutely comparable to the traditional paper sublimation printing scheme. Textile Printing: What areas can CORAL inks be used in? In your opinion, what is the difference between ink printing in digital printing and home textiles? TECHWAY: CORAL inks are mainly used in sportswear, such as football, cycling equipment and swimsuits, which are highly in demand. Our company is studying more possibilities in other applications, and hope that we can achieve a wider range of applications, for example at home textile applications, while there are more and more opportunities to choose polyester. Textile Printing: How acceptable is this ink in the Chinese market? 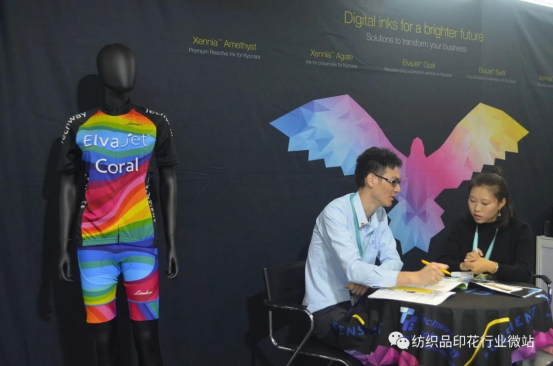 Techway: CORAL ink was officially launched at the ITMA exhibition in Shanghai in November, and immediately became the subject discussing among visitors. 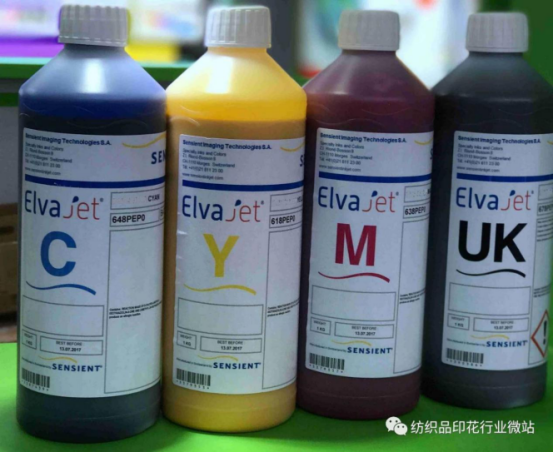 They were very surprised by the extremely simple and environmentally friendly application process of this ink, and also appreciated its high penetration ability. At present, many large enterprise units have inquired about the details of this product during the exhibition and arranged further fabric testing. We are very confident that this product will have a certain degree of positive impact on the traditional sublimation printing technology, and even completely change. The ecology of the entire printing industry allows us to wait quietly for this new round of printing revolution. Textile Printing: The market of inks is also very competitive. Are you optimistic about the application prospects of “CORAL” inks? Techway: As mentioned above, the concept of “CORAL” ink is based on green environmental protection. This is the most economical method for printing methods that used to require multiple post-press steps. It also complies with modern environmental concept. I think this program is definitely following the trend of the times, and the future is bright. 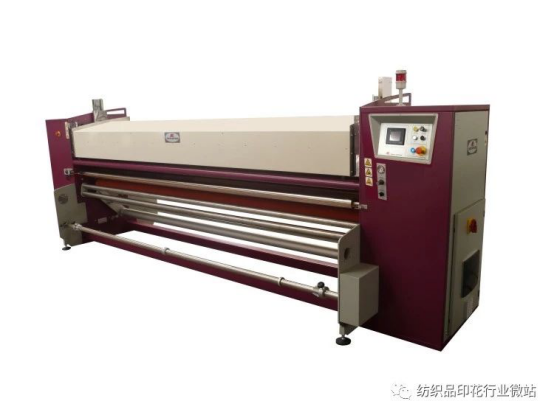 Textile Printing: In recent years, everyone has been discussing Single-pass technology. Many people think that ink is one of the key factors in the application of single-pass technology. What are the specific requirements of Single-pass for ink? What bottleneck do you think is the current breakthrough? Techway: What we are currently offering is not a single-pass technology. I think there are certain limitations and requirements, such as color density requirements, machine stability, etc. There are still many areas for improvement. Textile Printing: Which countries and regions are the market areas of Techway products targeted for? Where is the future of the market? Techway: Our products are mainly in the Chinese market. The Chinese market is irreplaceable and our largest target market. Secondly, in response to the rapid development of Southeast Asia in recent years, the emerging countries such as Vietnam, Cambodia and Thailand will be our next goal. Textile Printing: Has your company developed any online sales channels? What is the amount of online orders? Techway: Our company has always been sensitive to the market, constantly changing and adapting to achieve the results of excellence, and the Internet has had a far-reaching impact on the entire sales approach in the past decade. In the early years, we have noticed that it is necessary to work hard on online sales and increase communication channels. Now we have promoted on many well-known online social networking and shopping platforms, including Facebook, ebay, Alibaba, Weibo, Baidu and different printing networks and different magazines. Textile Printing: What is the market environment for sublimation digital printing? What are the favorable and unfavorable factors for its development? Techway: The sublimation of digital printing has been developing for many years, and customers' demands for fabrics and flowers have been continuously improved in order to maximize the competition. Our company believes that it is necessary to make breakthrough research on product technology. It is important to have its own irreplaceable technology in many products. Otherwise, it will be easily replaced by others in the rapid development of the industry. At the same time, because it is in this kind of environment, forcing us to continuously improve and innovate product requirements, this is the goal of our company.